Triple H and Shawn Michaels each took a dig at Billy Gunn and AEW last night. 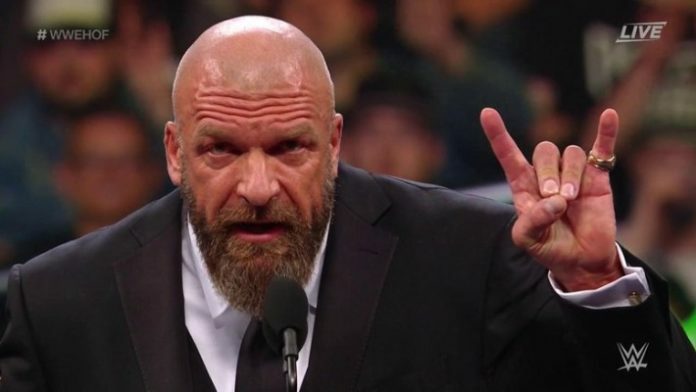 Triple H made some cracks regarding AEW and the amount of Executive Vice Presidents the company has during last night’s Hall of Fame ceremony. Triple H also commented during the ceremony that you can make anyone feel important by putting “EVP” in front of their name. This was likely a reference to the many Executive Vice Presidents (Cody, the Young Bucks, Kenny Omega) AEW has. Billy Gunn was hired in a producer role for AEW back in January. Gunn and his son, Austin Gunn, both competed in the All In Over Budget Battle Royal.